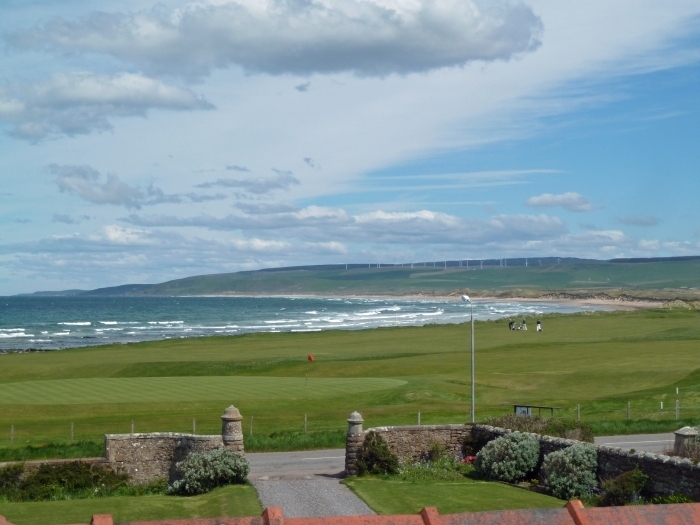 Rothmar East is positioned in a spectacular seaside location with breathtaking views over the 18th hole of the historic and world renowned Machrihanish Golf Club to the Atlantic Ocean and romantic islands. 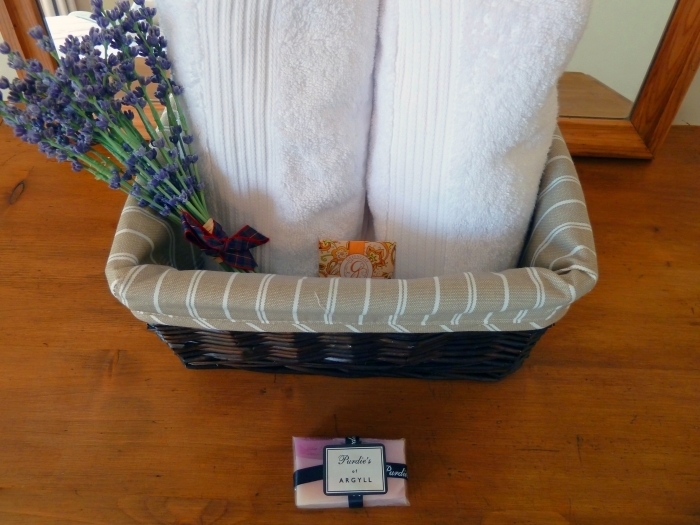 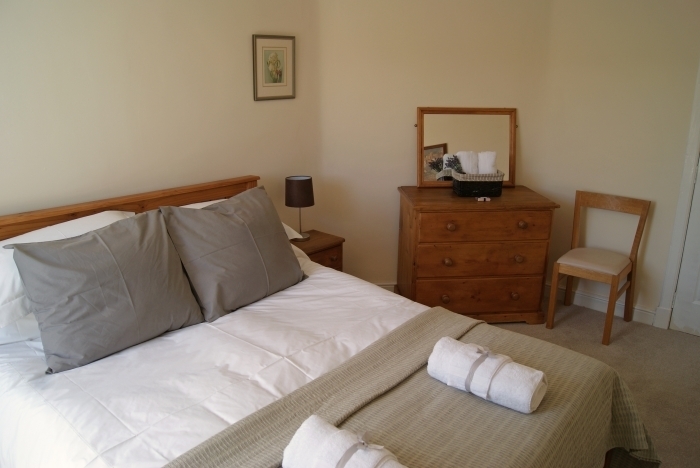 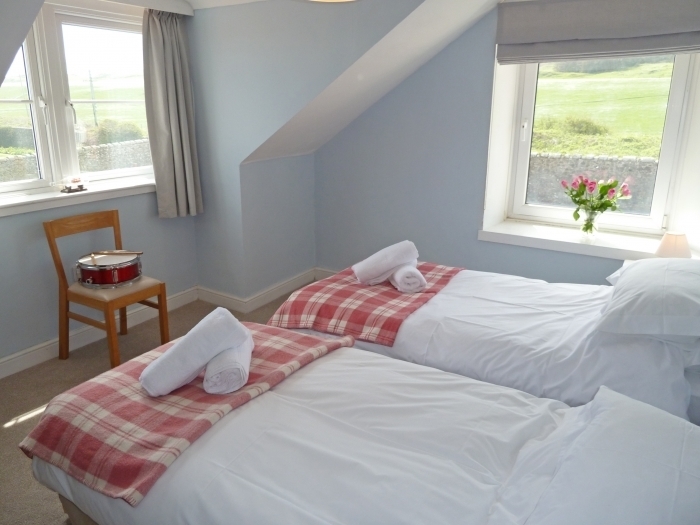 Sleeps 10 + 2: 2 doubles, 3 twins, TV room with double sofa bed and en-suite shower room. 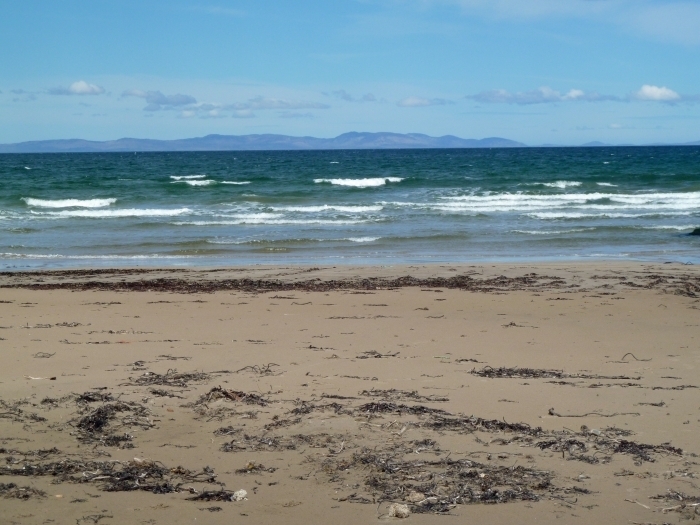 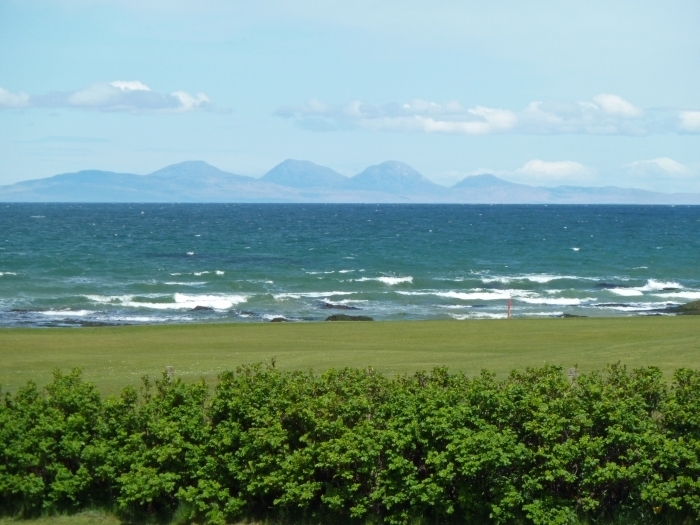 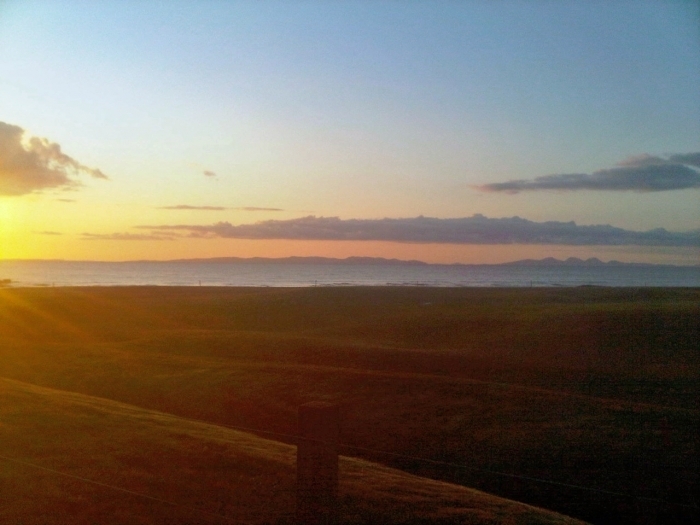 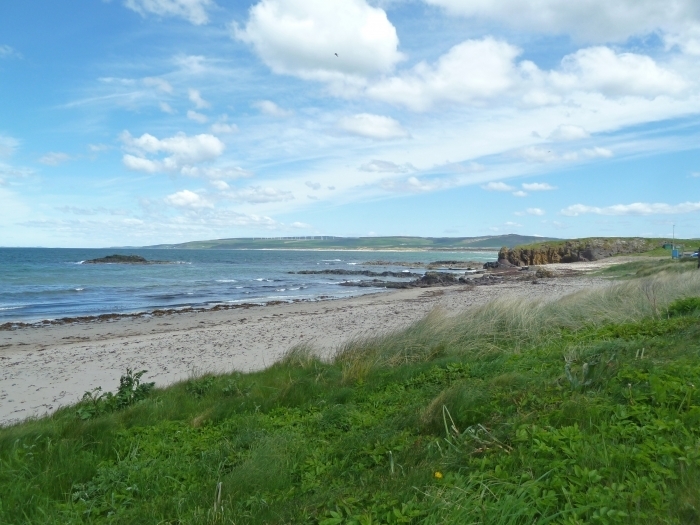 Rothmar East enjoys a fabulous seaside location with stunning views over the 18th hole of the historic and world renowned Machrihanish Golf Club to the Atlantic Ocean and romantic islands and Islay, Jura and Gigha. 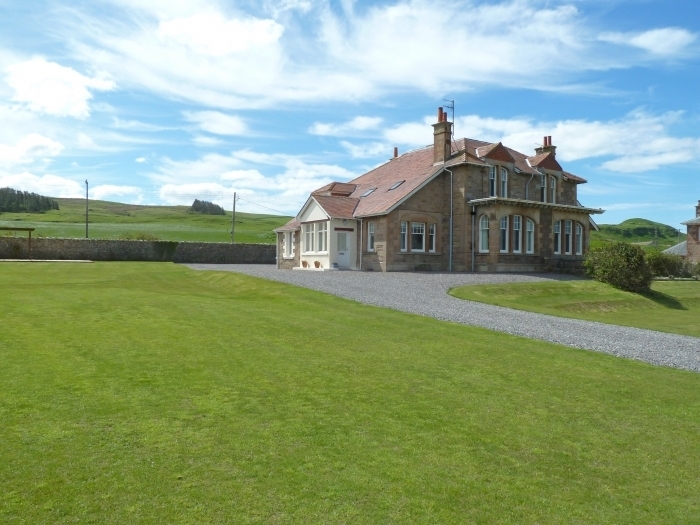 Set on the sunny Kintyre Peninsula which boasts huge skies and dramatic sunsets, this delightful Victorian stone-built villa is just steps from glorious long stretches of sandy beach warmed by the Gulf Stream. 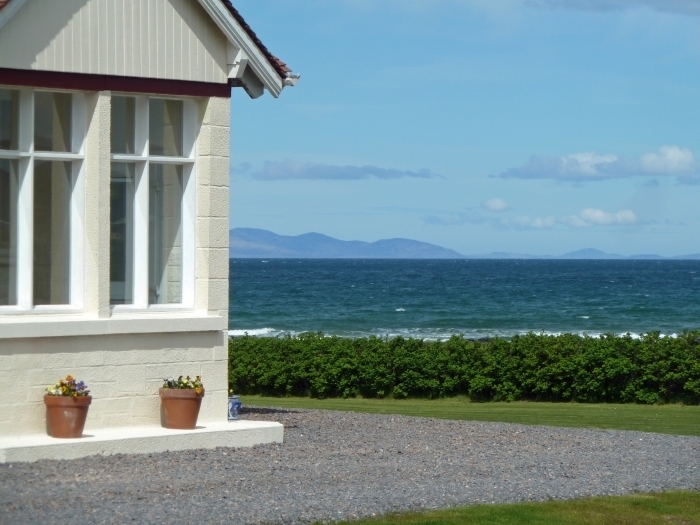 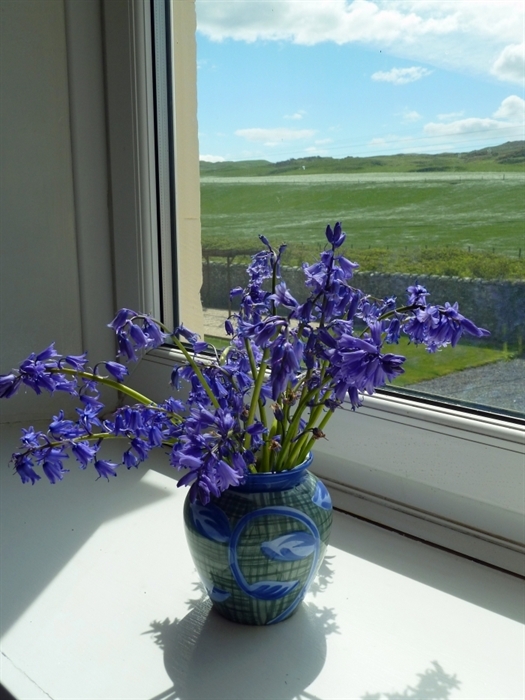 Newly renovated, this semi-detached holiday house is perfectly placed for exploring the many Scottish islands that surround this magical part of Argyll with ferries to Islay & Jura, Arran, Colonsay, Gigha and The Cowal Peninsula all nearby. 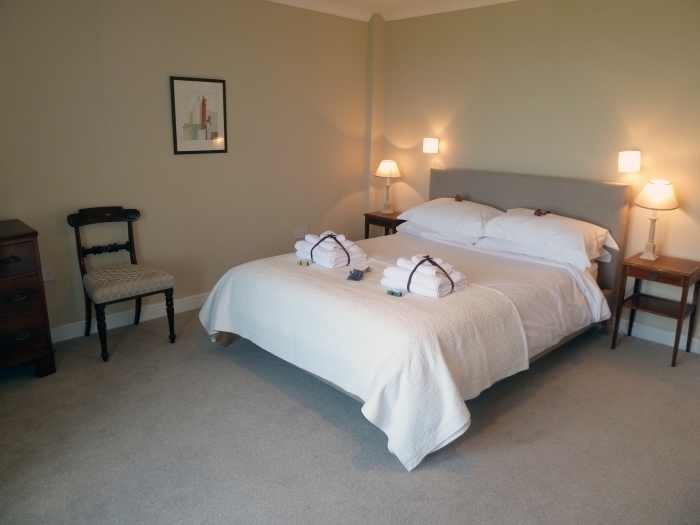 With a fresh modern feel yet still retaining its traditional charm, Rothmar East will always welcome you home after an active day out and about. 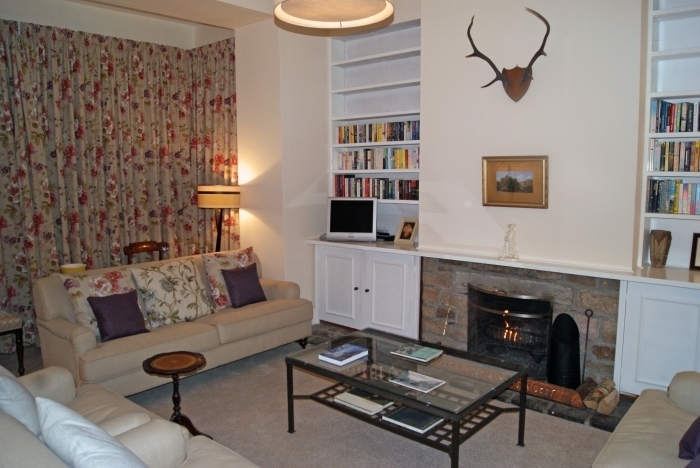 The delightful sitting room with its cosy open fire and large stylish sofas make it a wonderfully relaxing retreat for all seasons and the spacious open plan kitchen and dining room offer plenty of space for everyone to gather and enjoy holiday meals. 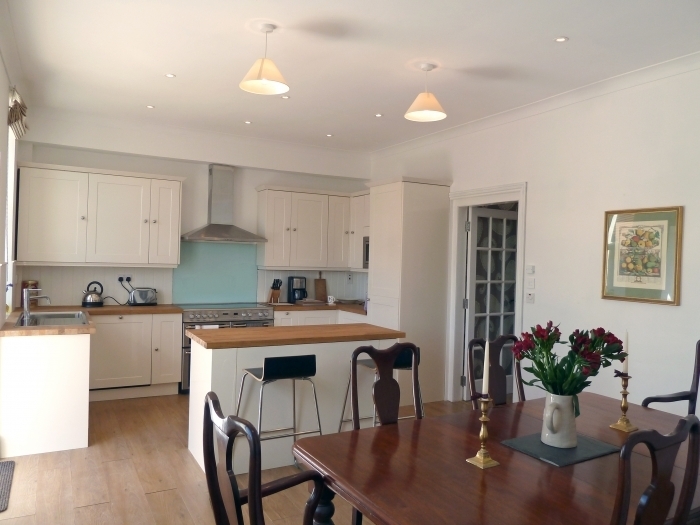 The large traditional sash windows enhance the character of this charming house and allow natural light to flood in, and the wooden floors in the kitchen and play room are kept invitingly warm by under floor heating. 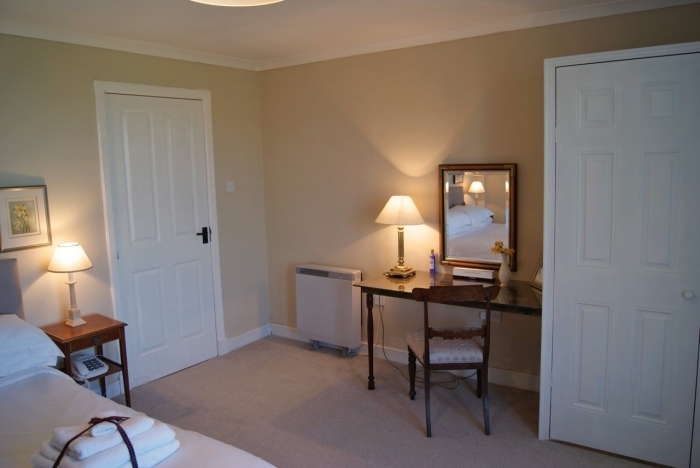 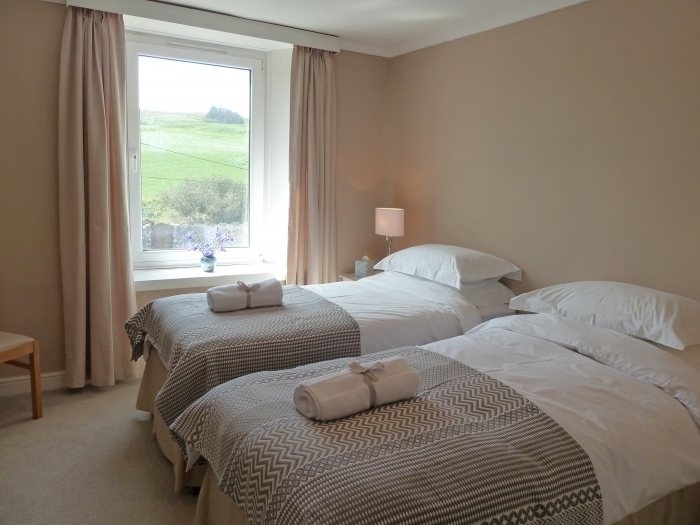 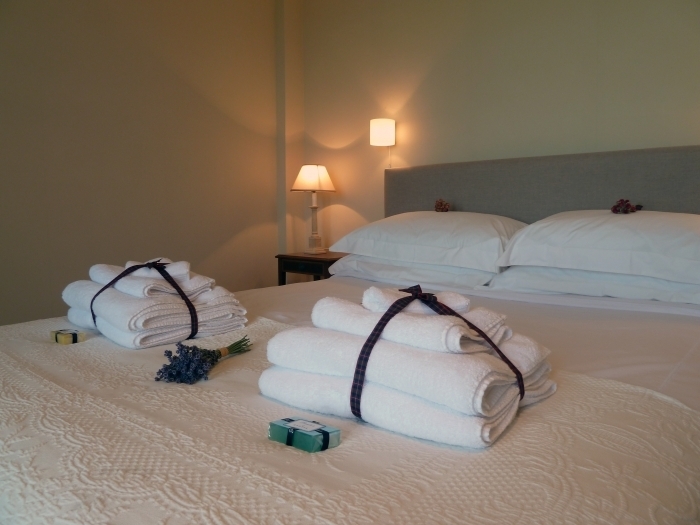 Upstairs, the four comfortably furnished bedrooms all boast lovely views either out to sea or over the hills and have the luxury of crisp white linen and soft towels. 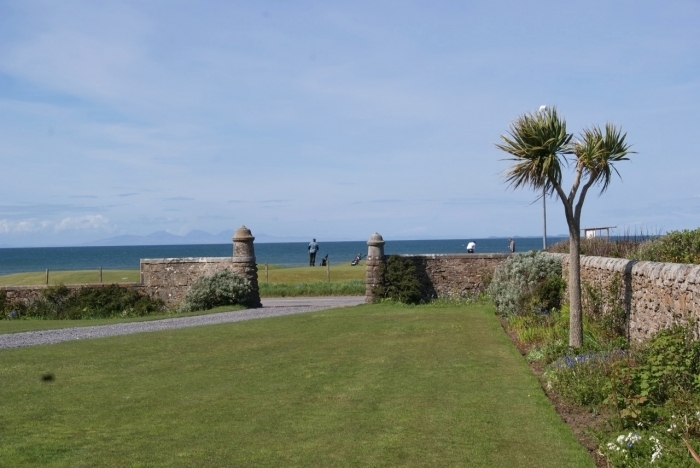 The large ¾ acre private garden is ideal for all the family - summertime barbecues and lazy afternoons can be spent on the patio under the pergola or relaxing on the lawn by the palm tree and there is a wildflower garden at the rear of the property with views of the hills to the South. 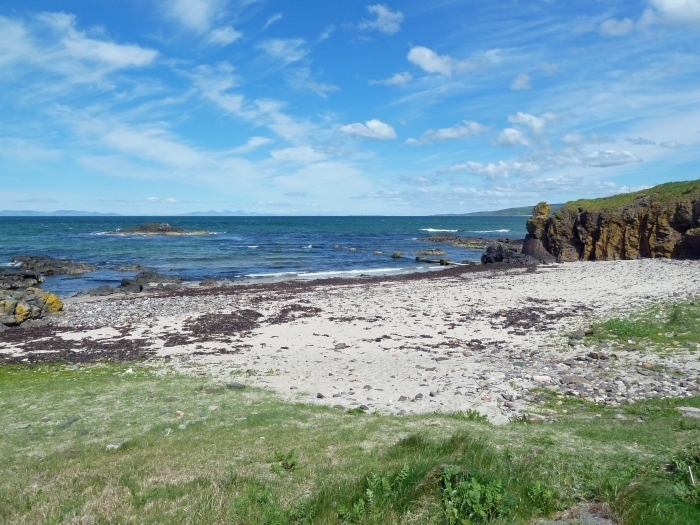 This forty mile long peninsula with its hills, lochs, rivers, forests, beaches and rich history has a gentle pace of life and friendly local atmosphere creating all the characteristics of Scottish island living - it is easy to see what captivated Sir Paul McCartney when he wrote the world famous song "Mull of Kintyre". 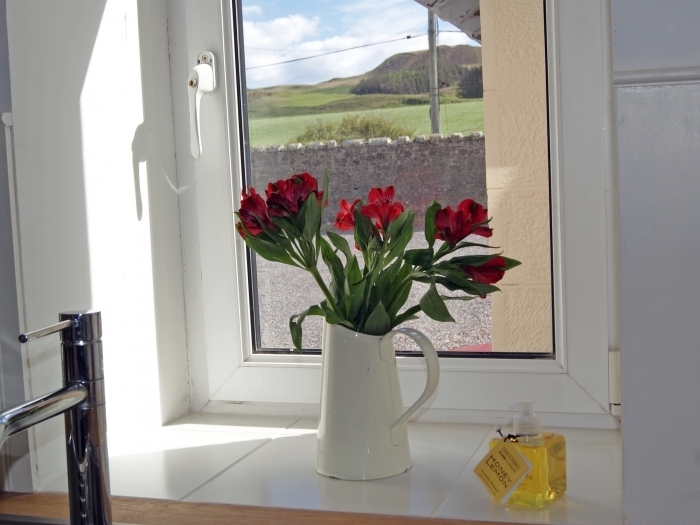 2 well-behaved dogs are welcome on the understanding that they are not allowed upstairs and must be kept off furniture at all times. 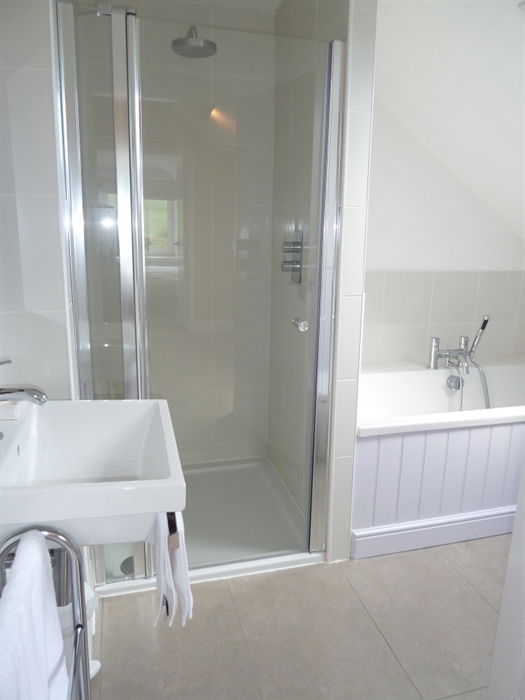 Extra refundable cost: Good Housekeeping Deposit £200.00. 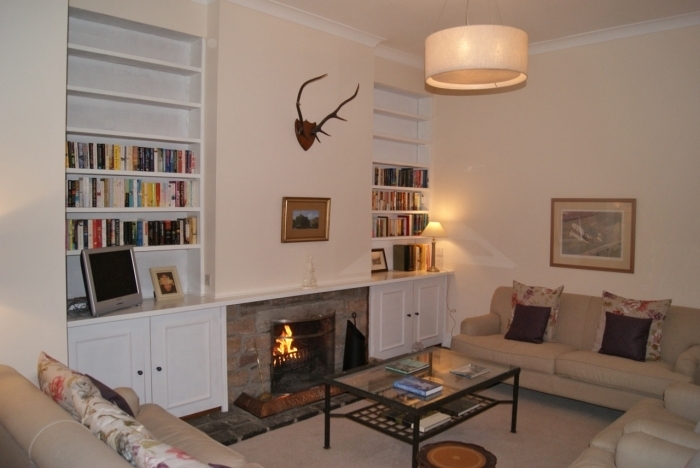 Entrance hall with coat hanging; main hall; sitting room with open fire; open plan kitchen/dining room with door to garden; double bedroom; TV room with double sofa bed and en-suite shower room with WC & WHB. 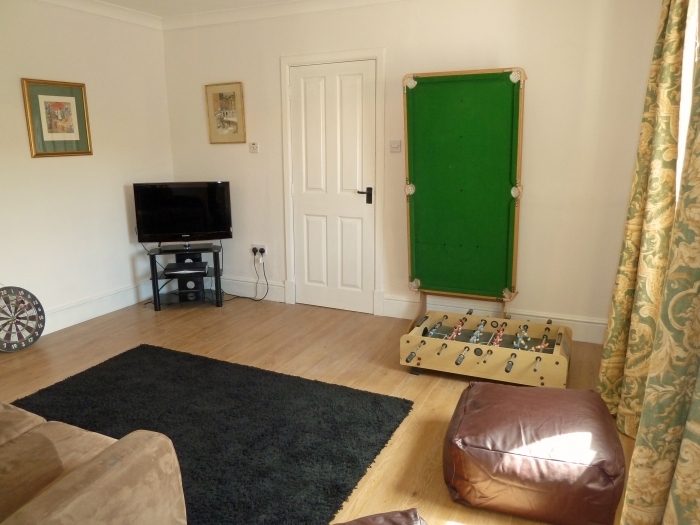 TV room also has a small pool table and table football. 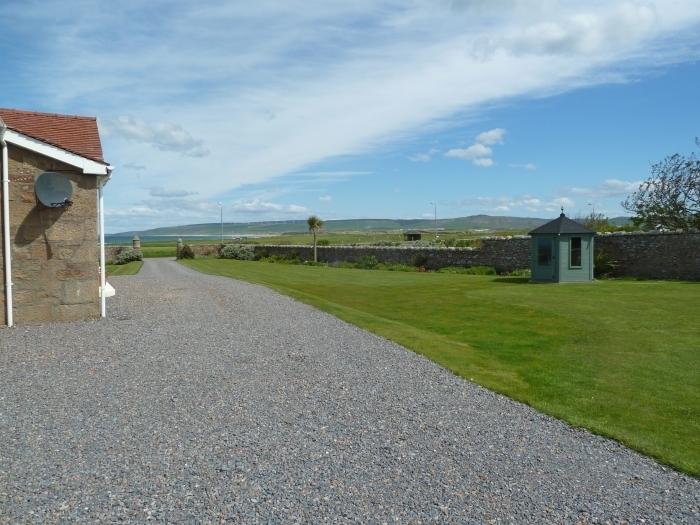 Large private garden & gravel driveway; patio with pergola; BBQ & garden furniture. 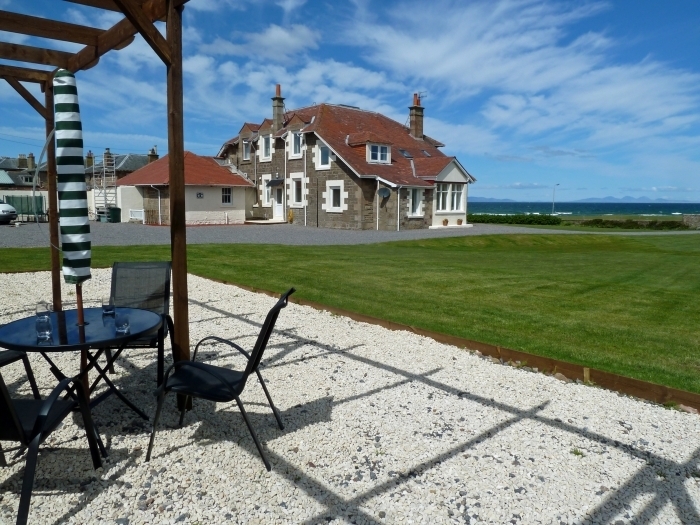 Private lawn with summer house - shared front lawn.